Mr. Vikelas had no particular connection with sport when he came from Greece, representing the Pan Hellenic Gymnastic Club, to the Congress in Paris in 1894, at which Baron de Coubertin suggested the revival of the Olympic Games. Despite his lack of technical knowledge, he supported the newborn project most enthusiastically. The original idea was to stage the first Games in Paris in 1900, but Mr. Vikelas was able to convince the Committee that they should be held in Athens in May 1896.
order to devote his full time to the promotion and popularization of public education, which he claimed was urgently needed in Greece. He combined with his erudition, which produced a scholarly work on "Byzantine and Modern Greece", a fertile and whimsical imagination which created "Louki Laras" and "Tales from the Agean". During the brief period that he was President of the International Olympic Committee, he served the Olympic Movement with zeal and intelligence. He died in Athens July 20, 1908. Pierre de Fredi, Baron de Coubertin, was born in Paris on January 1st. 1863 and died at Geneva on September 2nd. 1937. It is a very difficult task to summarize in a few words as active a live and extensive a work as that of Baron de Coubertin. Very early in life he showed a taste for the study of literature, history, and the problems of education and sociology. Giving up the army to which he seemed to be called by family tradition, renouncing also the political career that was open to him, Pierre de Coubertin at the age of twenty-four decided to promote a vast movement of educational reform, and at twenty-five his work was started, the first formulae set and the preliminary moves achieved. In fact he had by then already submitted to the Society for the Advancement of the Sciences a number of papers on methods of teaching. In 1889, at the age of twenty-six, he first had his idea of reviving the Olympic Games, which had been abolished in 394 A.D., apparently for ever. For four years he worked unceasingly to prepare opinion in England, the United States, and France for this revival. At last, on November 25, 1892, during a conference at the Sorbonne, he suggested that the Olympic Games, after a lapse of fifteen centuries, be revived in a modern and international form. Committee and assumed single-handed all the administrative and financial duties connected with this important position. At present all nations and races are interested and participate in the quadrennial Games. Thanks largely to Baron de Coubertin, the pracice of physical education and sport has become popular in all continents throughout the world, influencing the habits and way of living with beneficial effect on public health. Therefore it can truly be said that he accomplished a highly humanitarian and social work and may be counted among the great benefactors of mankind. The title of Honorary President of the Olympic Games, which will never be awarded again, was given to him in 1925, when he retired from the Presidency of the International Olympic Committee. It was a well-deserved reward for his outstanding activities and efforts during over thirty years at he head of his Committee. The revival of the Olympic Games is only a small part of Baron de Coubertin`s work. In addition to numerous publications dedicated to the technique and the teaching of sport, he was the author of important historical studies, which include a remarkable four-volume universal history, as well as numerous notes, studies and pamphlets on politics, sociology, general teaching, the reform of education, etc. His works total over sixty thousand pages and the catalogue of his publications fill a fourtee-page printed booklet. Counted among the eminent historians of his time, he was a great educator und sociologist as well. The work of Baron de Coubertin was above all a work of peace and one which will always remain fruitful. His memory will live throughout the world. His body rests in the cemetery of Bois-de-Vaux at Lausanne, Switzerland where he resided and which became the headquarters of the International Olympic Committee in 1915. In accordance with his will, his heart was buried at Olympia, Greece, in the marble monument commemorating the revival of the Olympic Games. 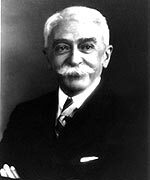 Count Henri de Baillet-Latour was born on March 1, 1876 and was elected a member of the International Olympic Committee for Begium in 1903. One year later he foundet the Belgian Olympic Committee, which organized Belgian participation in the 1908 and 1912 Games. and preserving its nobility and beauty, its raison d`etre. He aimed to acquire an informed personal opinion on all difficult questions and travelled widely throughout the world in order to achieve this object. At the meetings of the International Olympic Committee he was then able to speak with full knowledge and to give useful guidance to his colleagues. He was determined, yet diplomatic, and led the Committee with great distinction. He died during the night of January 6, 1942 from a heart attack. A short time before, death had taken his only son, who was in the Army. His country had been invaded; unhappiness was everywhere. He was left with only his Christian faith and his conviction, often expressed, of a happier and more beautiful after-life. Worthy successor of Baron de Coubertin, he will be remembered as a man of a noble character, wholeheartedly devoted to the Olympic cause. 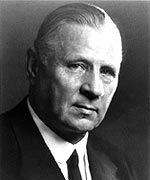 J. Sigfrid Edström, born on November 21, 1870, is one of the best known personalities in the world of sport. While a student at Gothenburg, Mr. Edström practiced athletics and was a very good runner. In 1891 he broke the Swedish record in the 150 m in 16.4 secs. and ran 100 m in 11 secs. After some years in Zurich (Switzerland), where he attended the Polytechnicum, he was entrusted with important tasks in the sports movement of Sweden. 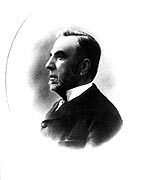 In 1901, with General V. Balck, he united the different branches of Swedish athletics and gymnastics into a single association, of which he was head until 1940. But it is in the International field that Mr. Edström showed the full measure of his qualities. 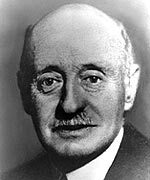 He was one of the organizers of the Olympic Games of Stockholm in 1912, and also participated in the Los Angeles Games in 1932 as head of the Swedish delegation. At the Olympic Games in 1912 he took the lead in founding the International Amateur Athletic Federation and was elected its first President, an office which he held until 1946. He was appointed a member of the International Olympic Committee to Sweden in 1920. He had already attended meetings of the International Olympic Committee in 1910 and 1911, in preparation for the Stockholm Games of 1912. He presided over the two Olympic Congresses, at Lausanne in 1921, and at Prague in 1925. In 1921 he was elected a member of the Executive Board of the International Olympic Committee, and in 1931 its Vice-President. In his capacity of Vice-President he became the head of the International Olympic Committee in 1942, on the death of President Count de Baillet-Latour. All through the hostilities of the second World War, since he lived in a neutral country, he kept contact with the members, and in 1945 he summoned the first Post War meeting of the Executive Board. This led to the acceptance of the invitation from London to stage the Games of the XIV Olympiad. In 1946 he was elected President by acclamation at the first post war meeting of the Committee, which took place in Lausanne. The International Olympic Committee was fortunate to have a man of his ability and great experience in athletic affairs available as a leader. 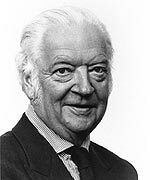 Not only had Mr. Edström been active in the International Olympic Committee for over thirty years, he had also been President of the important International Amateur Athletic Federation since its inception. As a neutral he was able to handle effectively all the complicated problems which arose after the Second World War. When he retired in 1952, at the age of 82, he carried with him the affection and respect of the Olympic world, and the title of Honorary President of the International Olympic Committee. 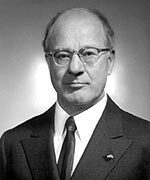 Avery Brundage was born on September 28, 1887 and was elected fifth President of the International Olympic Committee at its meeting in Helsinki in 1952. No one could have been better prepared for this most responsible position as head of the worldwide Olympic Movement. For twenty years he had been working closely, first with President Count Baillet-Latour, and afterwards with President Edström. championship, was one of the leading all-around athletes of the world. As a member of the 1912 United States Olympic team he competed in the Games of the Vth Olympiad at Stockholm. Three times he was All-Around Amateur Champion of America. The all-around championship is probably the most fifficult test of spee, stamina, strength, agility and endurance combined, ever devised. It should be noted that while Mr. Brandage was making this enviable record as a competitor he, as an engineer, was also engaged in establishing his own successful construction business. His practice and training had to be done outside of working hours and had his energies not been divided perhaps his athletic record might habe been ever better. After retiring from all-around competition he became interested in the administrative side of amateur sport. In 1928 he was elected President of the Amateur Athletic Unicon of the United States, an office to which he was reelected für seven terms. He would probably have been continued in office even longer had he not refused renomination. Druing this period he was one of the leading handball players of the United States and at one time Chicago champion. In 1929 he was chosen President of the United States Olympic Association and Chairman of the United States Olympic Committee. Six times he was unanimously reelected for a four year term by the one hundred and twenty organizations regulating amateur sport in the United States, which compose this Asseciation. In 1934 he was awardet a special James E. Sullivan trophy for outstanding service to amateur sport. In Buenos Aires in 1940 he was unanimously elected first President of the Comite Deportive Panamericano by the delegates from the countries of the Western Hemisphere at a congress called to organize Pan American Games. The rules of this organization were changed in London at the second congress in 1948 so that he could be reelected unanimously for another term. He was well acquainted with all the different sports on the Olympic program. For a score or more years he served as Vice-President of the Congress and on the council of the International Amateur Athletic Federation, the powerful organization which controls track and field athletics, and he had also taken an active part as officer and director in several other International Federations. When Mr. Brundage became a member of the International Olympic Committee he was elected to the Executiv Board and in 1946 he was also throughout the word as the apostle of amateurism and one of the world`s leading exponents of fair play and good sportsmanship. He is the author of numerous articles on amateur sport. He has probably what is one of the finest and most comprehensive collections of Asiatic art in the world. He is a trustee of the Art Institute of Chicago. Because of his activities in the field of sport and physical education, Mr. Brundage has been the recipient of honorary college degrees and of awards and decorations from many countries. 3. to stimulate more interest in the Fine Arts section of the Olympic program. 4. to bring about a more general appreciation of the fundamental principles of the worldwide Olympic Movement, to prevent its misuse für personal or national profit or aggrandizement, and to increase its efficiency an effectiveness. Lord Killanin was elected as President of the Olympic Council of Ireland in 1950. He became an IOC member two years later. In 1967, he was elected to the Executive Board. In 1968, he ascended to third Vice-President of the IOC an in 1970 he was named first Vice-President. He was elected as President of the IOC in 1972 and held that office until his retirement in 1980, when he was awarded the Olympic Order in Gold. He was also elected Honorary President for Life of the IOC. A noted Journalist, author, and film producer, Lord Killanin also served as a director of many leading Irish business companies. 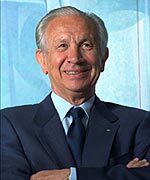 Juan Antonio Samaranch, elected as head of the International Olympic Committee in 1980 (the seventh to hold the post since the IOC was established in 1894), was one of the most influential Spaniards in the last two decades of the 20th century. Re-elected as supremo of the prestigious sports organization in 1997 (the IOC rewrote an old rule which called for retirement of the president at age 75), he is due to retire on July 16, 2001. His last Olympic Games, in Sydney in 2000, were tinged by the death of Maria Teresa, his wife of 45 years. During his tenure the IOC has had to deal with the Eastern Bloc boycott of the 1984 Olympics in Los Angeles, controversy over drug use among athletes, and scandals involving generous handouts to Olympic committee members from cities aspiring to host the Olympic games. But generally, he is recognized as the man who plucked the ailing IOC from the brink of bankruptcy and turned the Games into a profitable business as well as a truly planet-embracing event. In Spain he is now seen by most as a hero, in spite of his close links in the past with the Franco dictatorship. Spaniards tend to forgive the sins of public figures once they've reached the requisite age to become beloved septuagenarians. Still fresh in the memory is Samaranch's finest hour, when he announced that his home town of Barcelona was to host the 1992 Olympics. The resulting extravaganza, together with the Expo 92 exposition in Seville and Spain's commemoration of the 500th anniversary of the discovery of America, was seen as the ultimate expression of the modern "New Spain" which had emerged after the dark years of Franco. Games in Seoul. The honor of hosting the Olympics became an object of desire for cities, and the activity started to generate gazillions. The IOC post is a non-paying job, but all travel expenses are paid - and Samaranch is usually traveling, in style by most accounts. Drawing the line between expenses and baksheesh has been one of the big sources of trouble during the Samaranch era. In 1999, ten IOC members were forced to resign over scandals involving the way Salt Lake City had secured the 2002 Winter Games. Usually described as tenacious but tactful, a dapper dresser, Samarach continues to work out daily, eats frugally, goes to bed early and gets up at dawn. dominance in the sport that he became world champion. Rogge also showed his prowess with the rugby ball by winning 10 caps for the Belgian national team. The 59-year-old former orthopaedic surgeon moved on to the administration side of the Olympics in 1989 when he took on the role as president of the European Olympic Committees. 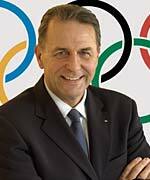 Two years later Rogge moved up a level and became an official member of the International Olympic Committee. He came to prominance during the 2000 Sydney Games where as chief co-ordinator, he helped mastermind what former IOC president Juan Antonio Samaranch described as "the best Games ever". Rogge was due to reprise his Sydney role for the forthcoming Games in Athens, but now faces the greater challenge of guiding the Olympic movement to new heights in the future.